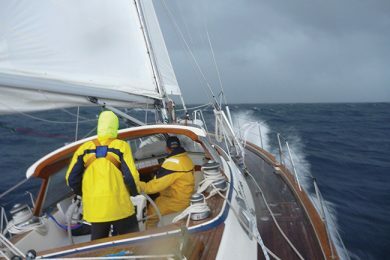 If the engine is the boat’s brawn, the multi-function display (MFD) is the brain and if what’s at your chart table is more than a few years old, Mach-speed changes in technology are leaving you at the dock. Formerly known as chartplotters, today’s MFDs do much more than plot your position—think whiz-bang, Star Trek-type computer stuff. Electronics manufacturers have been upping the ante, racing to make better, faster, prettier and overall more connected displays that are definitely ready for their close-up. Today’s displays are simply beautiful. High definition, thin touchscreens have become the windows to all that happens inside and outside the boat and the optics are phenomenal. Navico (maker of Simrad, B&G and Lowrance) has introduced SolarMAX HD glass on some of their backlit, multi-touch displays. Maximizing visual clarity, these screens have wider viewing angles so you can see them even when you’re off to the side. The glossy in-plane switching (IPS) screens have a balance of bright LED backlighting and advanced anti-reflective coatings creating superior color separation and accuracy. You can see the display in bright sunlight even with sunglasses. Raymarine is in the game too. They launched their new Axiom displays with flush-mounting matte-finish glass that can be seen perfectly even at a 75-degree angle. These all-glass optically bonded touchscreens deliver exceptional colors and sharp contrast. Air cavities are filled with high-grade optical epoxy so moisture and fogging are minimized and a cleaner path is created for the transmission of light. You can dial down the Axiom screen sensitivity so it isn’t impacted by rain or spray but rather only by the touch of your hand. The matte finish cuts down on glare in sunlight and the swipe-to-power design is touchscreen only with no hard keys or buttons. The list of what you can now control via the MFD is long. Radar integration is a given. All you need to choose is the type of radar: Do you want CHIRP pulse compression for small target detection, 4G Broadband with low power consumption or something dual range like Navico’s Halo so you can see both near and far on one MFD screen simultaneously? 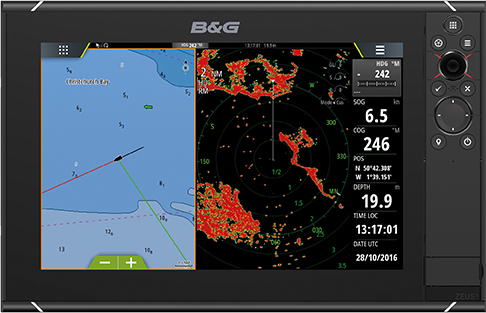 Furuno, Garmin and Navico all offer color-coded Doppler technology so identifying and tracking targets on virtually any-sized MFD is much easier. 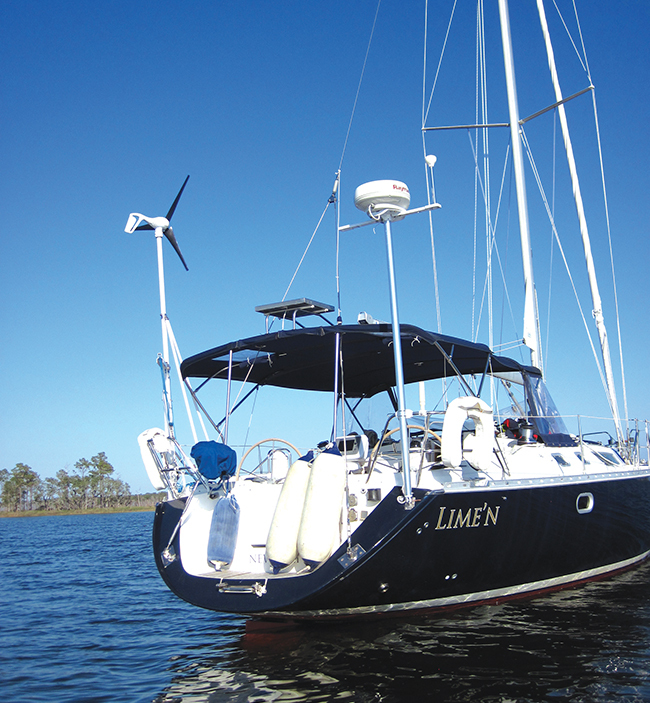 With some MFDs, you can even unlock enhanced radar features via software keys without having to pay for expensive new hardware or the boat going to the shop just to increase performance or add features. Surrounding vessel information is brought into the MFD via black-box Automatic Identification System (AIS) solutions and to monitor the situation below the waterline, you can add information from multiple kinds of sonar transducers. For better situational awareness, thermal (FLIR) and regular (engine or deck) cameras may be integrated as well as satellite weather feeds. Today, even autopilot connectivity is nearly plug-and-play although it’s still best to leave installations to the professionals because it just about takes a computer science degree to make sense of modern autopilots’ sophistication and integration protocols. 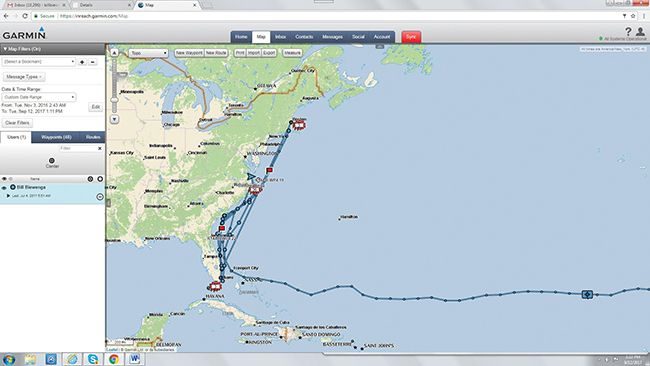 Most MFDs now also come with integrated Wi-Fi so you can download charts and software updates right from your boat. 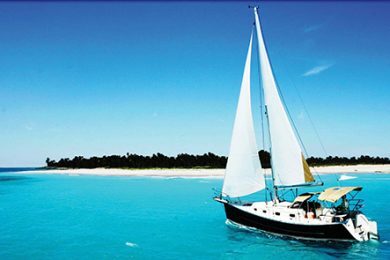 Your phone or tablet may be integrated via Bluetooth to work as a repeater for basic functions or to command the vessel’s stereo from anywhere. Finally, today’s MFDs have more svelte profiles so they can be mounted in the smaller places often found on sailboats. MFDs support multiple panel layouts (two, three or four views at a time) that can be configured in a few seconds with drag-and-drop commands. The clarity and detail of the cartography, whether it’s C-MAP, Navionics, BlueCharts or other brand is exceptional and the redraw is blazing fast with a position refresh 10 times per second. 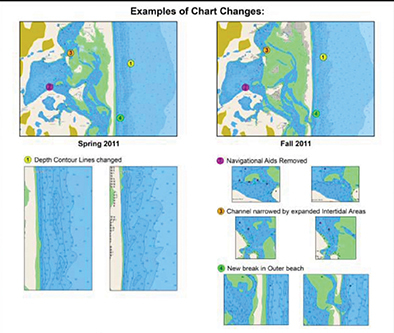 No more waiting as panels of a chart fill in or your position stutters around the page as the GPS catches up. MFD speeds match what we’re used to on our everyday personal devices, which is no small feat. Just a few years ago, Garmin led the pack with full pinch-to-zoom, drag-and-drop and swipe-enabled touchscreens. 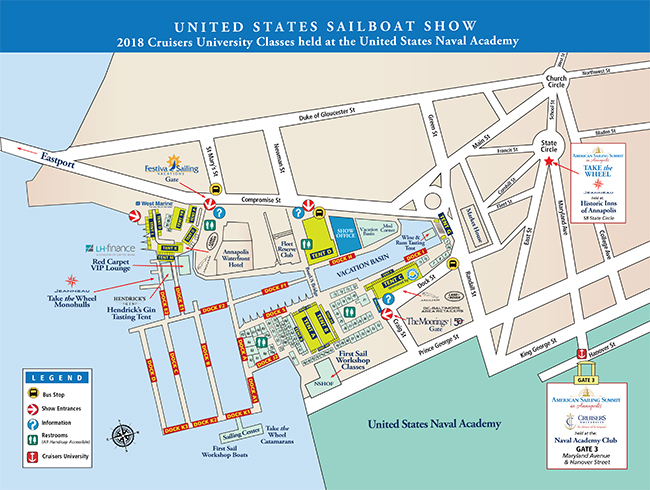 Today, they continue to bring intuitive functionality including interface with advanced digital switching like CZone and vessel security devices to many sizes of their GPSMAP line. Their large high definition 8600 series screens are also IPS and sunlight readable and come in 17, 22 and 24-inch sizes. 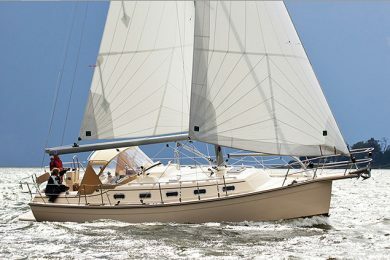 They create an impressive glass helm look on larger yachts. With multiple built-in sounders, they range from $7,399 to $11,999. 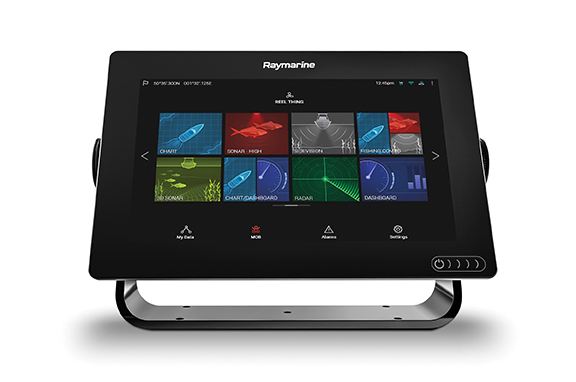 Raymarine’s Axiom line is expandable so their MFDs can be anything from basic chartplotters to fully-enabled units with their RealVision 3D sonar. 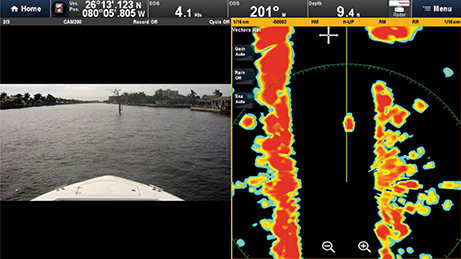 You can combine CHIRP DownVision and SideVision into a single transducer housing and the gyro-stabilized sonar compensates for boat movement, delivering more accurate images. 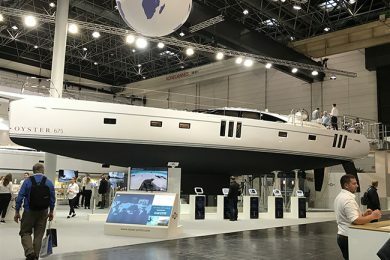 Powered by the LightHouse 3 operating system and quad core processor, Axiom is fast and moves through the Navionics+ charts like greased lighting. Other accessories controlled by the MFD include their Quantum radar, stereo, wind/speed/depth instruments, engine room and remote cameras, and their Evolution autopilot. Prices vary with size and added functionality. 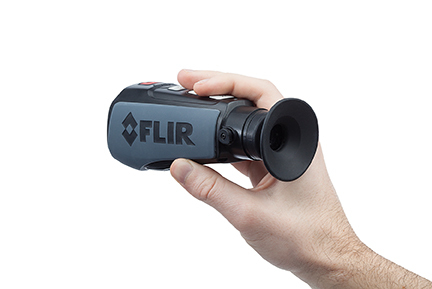 A neat feature is ClearCruise, the object-recognition technology found in the new FLIR thermal cameras that can interface with the Axiom line. 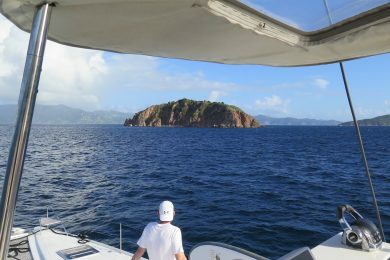 The system actively scans the surrounding scene looking for non-water objects like other boats, navigation aids, exposed rocks, floating debris, lobster pots, etc. These objects are highlighted on the display with a yellow frame and if a target is identified, an alert sounds calling your attention to it. 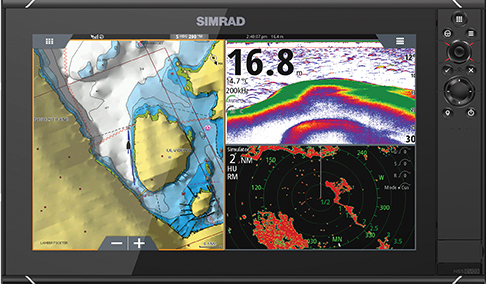 Simrad’s NSS 9 evo3 zips through detailed charts and includes an integrated echo-sounder featuring four kinds of sonar including ForwardScan to help avoid a collision with debris or structures ahead. 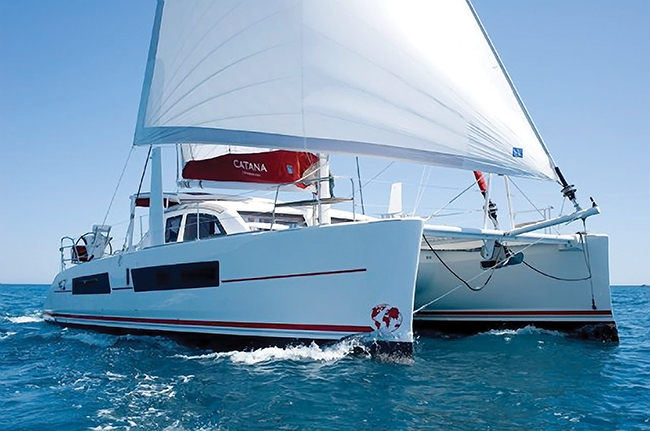 Add Simrad’s Halo or Broadband 4G radar and autopilot control as well as a host of accessories including stereo functionality, satellite weather information and feeds from multiple cameras. Comprehensively outfitted, the 9-inch NSS 9 evo3 is around $2,300. When it comes to size, buy the biggest MFD you can afford and your boat can accommodate because today’s screens can get crowded. When you split a screen into quadrants, your tired eyes will be happy to work with a larger unit. However, compact units (seven or nine inches) are useful too and quite affordable. Not only are they perfect for cockpits on smaller vessels, they also make great repeaters at the chart table or even in the master stateroom so you can check position without ever getting out of bed or sticking your head up through the hatch. Pricing is tricky because today’s MFDs come with a buffet menu of choices on what to include and sensors, antennas and transducers may be sold separately. Also, just because units are the same size doesn’t mean they are equal in their overall sophistication. Don’t take prices at face value, units are often targeted at different audiences and needs. Instead, consider your specific application and carefully research what you really need and want to pay for. The Internet of Things (IoT) is bandied about today although it’s a term that’s much used and little understood. 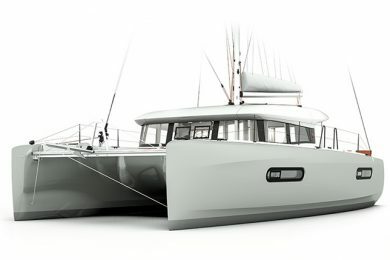 Hyper-connectivity between all things with an on/off switch and an Internet connection is promising to change the way we live and boat and it’s all coming together in the MFD. Lights, pumps, engines, cameras, and navigation equipment can communicate with each other over an onboard networked backbone and with entities off the boat via Wi-Fi. 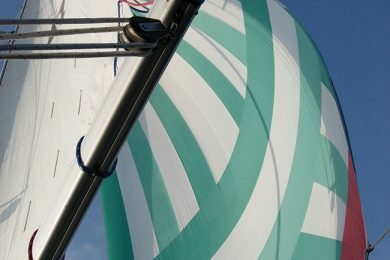 The MFD is evolving as the single point of convergence and problem solving aboard. 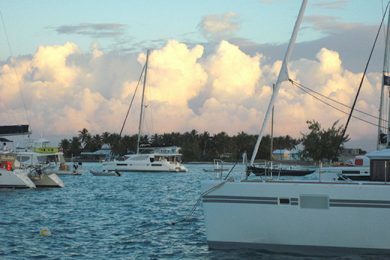 Data sharing means engine and boat builders, accessory suppliers, dealers, service providers and boaters can have access to more information. Presumably, this will result in better and more reliable equipment that’s easier to service down the road. 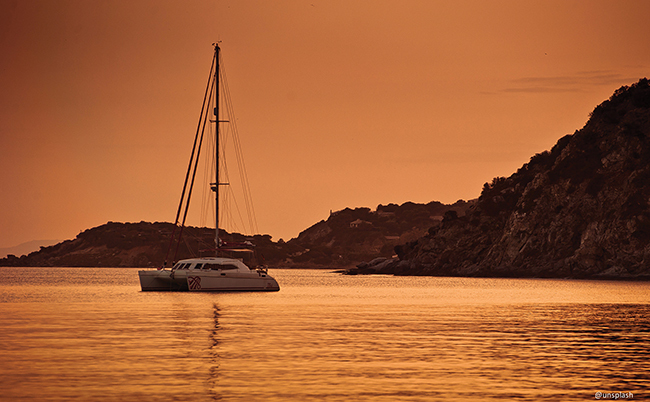 Your boat can talk to you as well as to a dealer or a search and rescue provider. 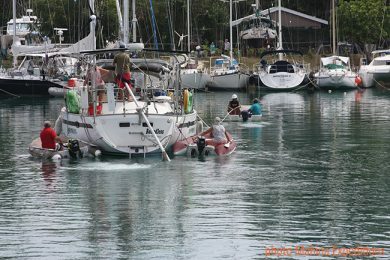 You can set geo-fencing boundaries so you know where your vessel is at all times, your engine can remind you of scheduled maintenance or warn of impending problems and digital switching systems like CZone can send reports on bilge pump cycles and battery levels. 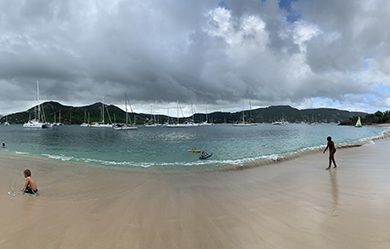 With all this connectivity, boats are expected to become more efficient, secure, social and definitely user friendly ensuring that your boating will never be the same and neither will your MFD. Today, the MFD is just a chartplotter in the same way that your smartphone is just a phone. Both are highly sophisticated compact super computers that we couldn’t have imagined a decade ago. With outstanding optics, fully integrated functionality, lightning-fast refresh speeds, and crazy connectivity, MFDs bring probably more intelligence to your vessel than the Apollo 13 had aboard and you really can’t afford to be even a few generations back. With spring comes a new season and that means a new budget for your baby. Now you know how to spend some of it. Zuzana Prochazka is a veteran cruiser and freelance writer. She is based in Southern California.